Located in historic Gettysburg, the Adams County Courthouse is over 125 years old and reflects the rich heritage of the town and battlefield. 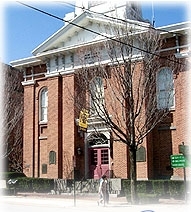 The courthouse is built in the Italianate style. Put this historic building on your list of places to see in the area!